The #SocialMediaWhatsTrending event held at Media City UK was designed to gather industry experts together and look at ways where social media is changing the way people connect with businesses. 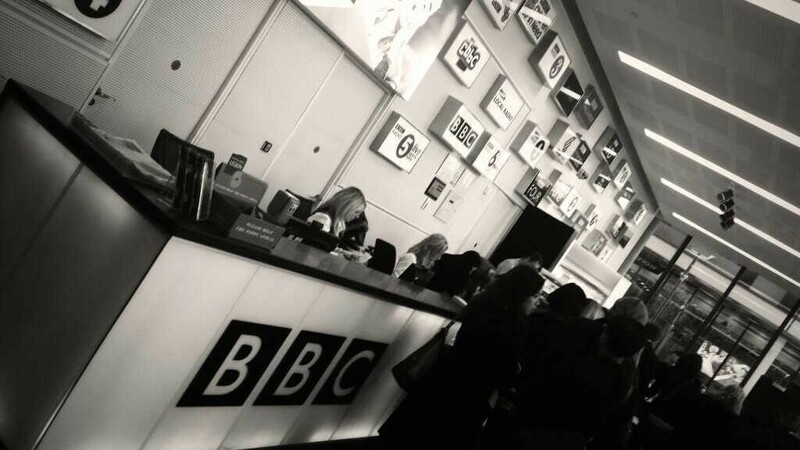 The BBC Academy College of Journalism and BBC North designed the conference to bring together practitioners in journalism and content making from the digital world. I’m sure a lot more people would have liked to attend the event, so hopefully we can cover some of the main bits here. Throughout the day there were two lots of sessions running. I was in the main session throughout the day so if anyone attended the breakout sessions, then please leave your feedback on those in the comments section. The first session was chaired by Stephanie McGovern, the BBC Breakfast Business Presenter, with the panellists including; James Ball, The Guardian Data Journalist, Graham Culey, an Independent Computer Security Analyst along with Martha Gill, Journalist at The Telegraph and New Statesman. Overall the session was really insightful, especially to find that The Guardian only receives around 1.5 – 2% of their traffic from Twitter. James Ball made a good point about how journalists are in a difficult situation since on one hand it is extremely important to protect their sources, although with the increasing usage of new technology this can lead to you compromising your sources without even realising. The second session was chaired by Rachel Burden, BBC Radio 5 Live, with the panellists including; Anna Doble the Head of Online at Channel 4 News, Tim Gatt the ITV News Digital Output Editor along with Chris Hamilton the BBC News Social Media Editor. Throughout the session, Tim Gatt gave a fantastic insight into the performance of the ITV News website which gets over 4 million visitors per month, 50% of which is from Twitter and Facebook. In addition, he revealed that ITV Evening News gets between 4 – 6 million viewers per night. Anna Doble gave an interest insight into how the Channel 4 News Google+ followers are actually far more engaged with Channel 4 compared with other social channels. This is an interesting topic since it was also debated at another session as to which is more important, a high number of followers or a highly engaged but lower number of followers. Chris Hamilton is quite excited about the future of Facebook, particularly with the introduction of the Facebook Insights API and Graph Search. If you aren’t sure what they are, in short, the Facebook Insights API allows developers to pull aggregated demographic information from Facebook which can be used to better understand your audiences. Likewise, Facebook’s Graph Search allows users to easily find people who are interested in different topics, as an example you could search for “Developers in Blackburn who like Star Wars”. Ok maybe that is a bad example, as I’m sure that would include most developers, but hopefully this highlights what this is. The point Chris was making is that this really does allow businesses to find trending information that is happening right now, which has previously been left to the realms of Twitter. The third session was chaired by Stephanie McGovern the BBC Breakfast Business Presenter with panellists including; Rob Francis the BBC Continuing Drama Online Producer, James Cooper the X-Factor Senior Interactive Producer and Thom Gulseven the Channel 4 Senior Online Producer. This again was an insightful session with interesting findings about the X-Factor around website traffic. James mentioned that while the website traffic from traditional sources was decreasing, this was being replaced by increases in traffic to the website which is being fuelled by the X-Factor 5th Judge App which has been downloaded more than 1 million times. When James was asked if the 5th Judge App was leading to less people picking up the phone to vote, he didn’t have the figures. Although he did say that they are introducing a pay-in-app option, which one can only infer that this is the case and X-Factor are aiming to increase revenue via the mobile app. The topic of engagement VS follower numbers came up and while Thom Gulseven would prefer a much more engaged audience on social channels, James believes that the large number of followers is still vitally important especially from a commercial point of view. Ultimately advertisers want to know how many people are going to be seeing their branding messages. Another interesting piece of data that Thom mentioned was that around 50% of viewers watch Made in Chelsea ‘On Demand’ which is a staggering amount. This really does just show how the behaviour is changing for how people consume content. This leads nicely onto the keynote speaker of the day, Ben Cooper who talked about the shift away from different devices towards providing content on ‘All Screens’ at times when people want to watch things. The keynote speaker for the day was Ben Cooper the BBC Radio 1 & BBC Radio 1 Xtra Controller. Through his talk he really emphasised the importance of knowing your audience and what they want. This understanding is changing the way content is being created at the BBC and how it is then shared with the world. One example Ben gave was how they have added an extra dimension to radio by adding 6 cameras per radio studio which is allowing them to create even more content with little extra effort involved. This extra dimensions is paving the way for engaging with different audiences who may not have listed live to a show previously. An example of this was the recent interview with Kanye West which has been viewed on YouTube over 1.5 million times within the space of 6 weeks since being uploaded. One really interesting point mentioned is about how the BBC are looking to incorporate Radio 1 into the iPlayer platform instead of using YouTube. This is really interesting since this is starting to move the power of short form video away from the Google owned YouTube platform back to the BBC. As part of the ‘All Screens’ topic, Ben mentioned that 33% of people use music streaming services simply because they can access them via a mobile device. Around this topic, there is always the debate if music streaming services are going to replace radio and Ben simply doesn’t believe this to be true. Radio has much more of a personality and allows listeners to connect with the presenter at a level that streaming services simply can’t offer. What I believe will be interesting in the future is how the two of these merge together. Are we going to start to see more homemade live streaming radio stations curated by amateur DJs which can build up a following of their own – all powered by a streaming service in the background? It is going to be interesting to see either way. A few other interesting facts about Radio 1 is that the website gets approximately 3 million unique visits per week, the YouTube channel is the most popular radio station on YouTube with over 680,000 subscribers along with a fact that 9 people every second are watching a Radio 1 video on YouTube. On top of this, 10.8 million people listen to Radio 1 each week for an average of 6 hours. Ben mentioned that this is down from a previous average of 12 hours per week, but I would question if this is simply because audiences are simply consuming the content in different ways and the BBC hasn’t managed to integrate these new data sources to fully understand how people are consuming content. The next session started with Tim Pool, a VICE Journalist and Producer who is really breaking the boundaries of journalism by using new and exciting technologies. These technologies include live video streaming, Google Glass and drones with video camera attached. An interesting point made by Tim is how he has had to use this technology in the past to get past the police who were blocking him from legally filming. The situation he described was how the police were lined up in a row blocking journalists’ access to an area so they couldn’t film. This is where the use of drones came in, Tim simply flew a drone over the police to start filming what he was legally allowed to. Following on from Tim was a panel chaired by Cat Lewis the CEO and Executive Producer at Nine Lives Media with panellists including; Ian Katz the BBC Newsnight Editor and Alex Miller the VICE UK Editor in Chief. Throughout the discussion it was interesting to hear about the different rules that each company needs to follow along with how online criticism is dealt with. On the BBC side, everything has to follow extremely strict guidelines whereas at VICE, things are a little more relaxed which allows them to put an interesting twist on their reporting. Due to the different approaches, the way criticism is dealt with also changes. If a slip is made by a BBC presenter then the usual ‘we are very sorry’ comes out, whereas if a similar thing were to happen with VICE, then this would be a more relaxed approach and often the readers would understand that actually, what was said wasn’t said in a negative light. The final session of the day was chaired by Ben Gallop the BBC Sports Head of Interactive & Formula 1 with panellists including; Scott Davies the VP EMEA of Never.no, Chris Nield the Social Media Executive at Manchester City FC along with Dan Walker the BBC Sports Presenter. This final session raised some interesting points about how to handle trolls online, with the panel having different methods of dealing with this. One can simply ignore the trolls and get on with your day, whereas others have found that retweeting hate messages to their followers allows their followers to deal with the problem on their behalf. There is no sure fire answer here to the problem trolls cause online, so I’m sure we are going to see a lot more debates about this topic in the future. An interesting statistic from Ben Gallop was that 40% of all tweets are about sport. I’m not sure where that figure has come from and it isn’t one that I am sure is 100% correct. I have found a study that 40% of tweets are ‘babble’, which depending on how you read that could be sports or not. Ben did go on to say that the BBC Sports website is the largest in the UK in terms of audience and that around 4 – 5 million people watch Match of the Day each week. On a social media point, it was interesting to find out that approximately twice as many people are tweeting about Match of the Day compared to Strictly Come Dancing, even though Strictly has double the audience. This again comes down to the point raised earlier about engagement. Dan Walker gave an interesting insight into how they managed to interview Mario Balotelli. He notoriously doesn’t do interviews with people, although Dan found out that he was a huge fan of Noel Gallagher and that Noel also liked to dedicate a song to Mario at different gigs. It took 6 months to plan but eventually Dan managed to organise an interview of Mario with Noel. This just goes to show the importance of creating unique and engaging content and that it takes time and effort to do this. Want to embed this infographic on your website? Simply copy and paste the code below. Where would we be without a bit of Halloween fun? 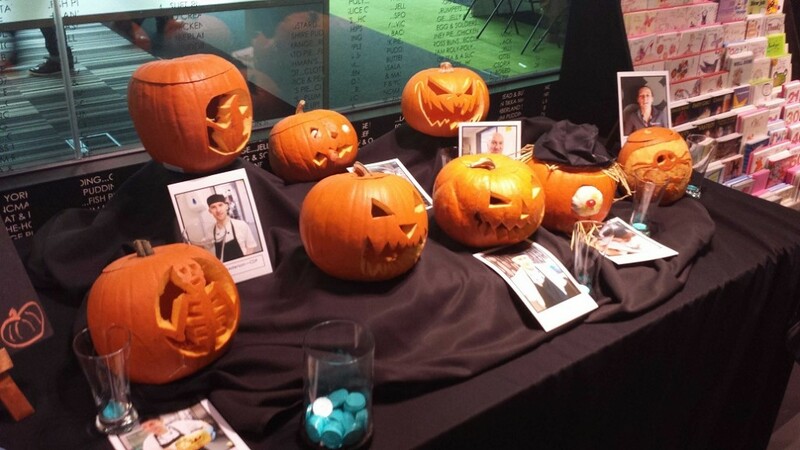 Here is the BBC’s attempt at pumpkin carving, which one do you like the best?